On June 22, 2014, following the Divine Liturgy in the Sophia-Dormition Cathedral in the Tobolsk Kremlin, a reception was held on the occasion of the visit of the Primate of the Russian Orthodox Church to the Tobolsk Diocese. At the reception’s conclusion, Patriarch Kirill of Moscow and All Russia addressed those gathered. Patriarch Kirill continued: “The religious life is primarily work, the hard work of improving oneself. And these people passed through a similar spiritual school. They were heroes of the spirit. They had an inner motive that formed as a result of this spiritual work, straightening and pushing forth like a catapult. Like a rocket, overcoming the Earth’s gravity and breaking into space, our ancestors walked forward. They were able utterly and completely to give themselves up to this. This ability creates a religious feeling, while modern civilization imposes a completely different lifestyle—not to give, but rather to take. “The Church today takes on the special responsibility of going against the current. Every priest today is largely responsibility not only for his parishioners but, through them, for our Motherland’s fate—he is struggling at the front lines for the greatness and dignity of our country. We must preserve the spiritual and cultural sovereignty of our homeland because, without it, geographical and political sovereignty do not mean a thing. 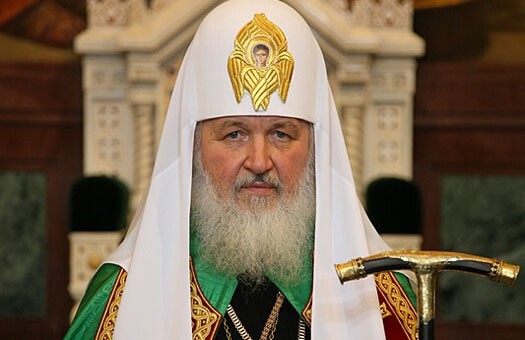 That is precisely why it is important to unite our faith with our life, retaining the ability to become heroes,” emphasized the Primate of the Russian Orthodox Church. “Heroism is to accompany us every day. We have to limit ourselves in something for others – for the sake of our wife or husband, children, parents and friends, for the sake of those with whom we communicate. Without such heroism, there is no genuine human life—only the struggle for survival on the biological level remains. The ability to sacrifice—that is heroism, that is what the Church teaches,” asserted His Holiness, Patriarch Kirill.